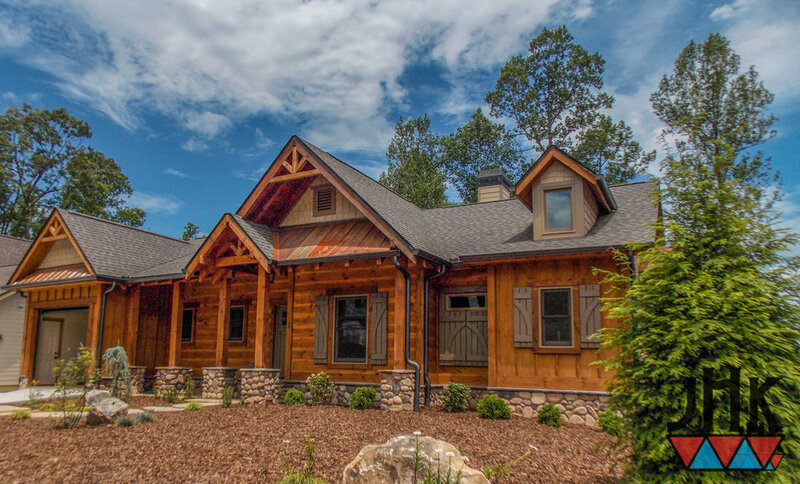 Showcasing the very best in rustic, mountain, and timber frame homes, Amicalola Home Plans' designs have won numerous awards and been featured in dozens of publications across the country. Whether you seek an eastern "Appalachian" style or a more western "Wrangler" style, we have the knowledge and experience to collaborate with you to create the exact home plan you and your family desire. Browse our rustic mountain house plan collections ranging from 500 Sq ft to over 6000 Sq Ft. All floorplans are ready for construction featuring fullset plan licensing ready for same day delivery upon purchase. 3 Bed | 3 Bath | 2,910 Sq. Ft.
3 Bed | 3.5 Bath | 2,334 Sq. Ft.
4 Bed | 4.5 Bath | 3,600 Sq. Ft.
3 Bed | 2 Bath | 2,350 Sq. Ft.
4 Bed | 3 Bath | 2,605 Sq. Ft.
4 Bed | 2 Bath | 2,042 Sq. Ft.
2 Bed | 2 Bath | 1,183 Sq. Ft.
3 Bed | 2.5 Bath | 2,762 Sq. Ft.
2 Bed | 2 Bath | 1,662 Sq. Ft.